We’ve compiled the top 12 bestselling team caps for your convenience. 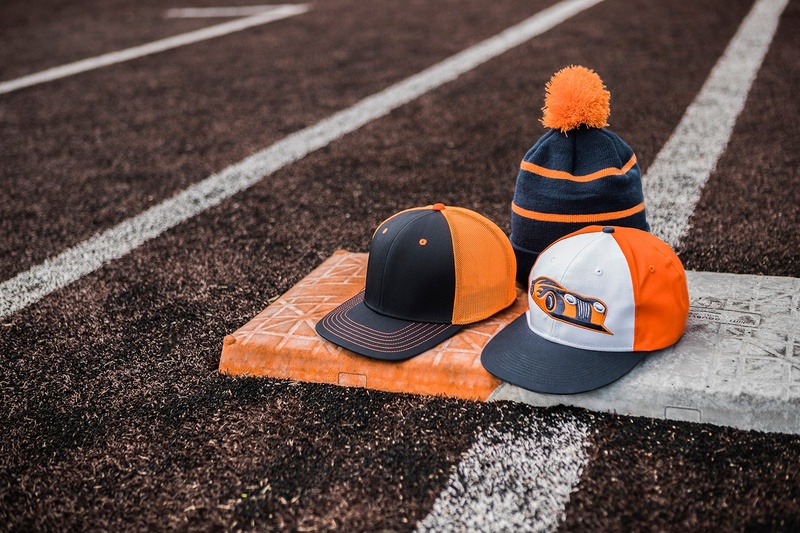 These are our most popular trend-setting hats, the varsity team, if you will. We have three Team MLB® styles with professional grade branding on the sides and stock logos as well as one stock MiLB® style to represent your favorite Minor League team. We also have eight blank styles of varying performance capabilities and price points for you to decorate with your custom logo. In this article, you’ll find information about our best sellers with links to the product page for each. The MLB-300 is a classic baseball cap with an easily shaped curved/flat visor and hook/loop tape closure. We offer this cap in 36 MLB® logos and styles. The MLB-400 is a Team MLB™ style with a flat visor and hook/loop tape closure with a Q3® moisture-wicking sweatband. It comes in 45 MLB® logos and styles. The MLB-595 is our top-of-the-line Team MLB™ style. It is a ProFlex® cap made of bamboo/charcoal polyester with a Q3® moisture-wicking sweatband. Choose between 20 MLB® logos and styles. Kids especially love the MIN-253; Minor League Baseball® is known for its crazy logos and unusual team names. This cap has an easily shaped curved/flat visor with a hook/loop tape closure and comes in 30 MiLB® logos and styles. The TGS1930X is a ProFlex® cap with a Pro Mid Crown and moisture-wicking technology to keep you cool and dry on the field. With 64 color options, there’s one for every team. Players will love the bamboo/charcoal performance fabric. The CT120M is made of a stretch mesh with a ProFlex® Q3® moisture-wicking sweatband. Its extra-flexible visor is thinner than most. It comes slightly pre-curved, but you can shape it any way you want, as many times as you want without compromising the integrity of the visor. The GL-271 comes in 32 color options. It’s available in youth and adult sizes. You can easily customize this classic style without breaking the bank. The MBW-800 was Outdoor Cap’s #1 selling new style in 2016. This mesh back has a hook/loop tape closure, a slightly pre-curved visor, and it comes in 27 color combinations, including all the hot neons teams love. This was our first style with the new and improved Pro Round Crown shape. The FWT-130 has been Outdoor Cap’s #1 bestselling cap for several years. It’s an unstructured 6-panel mesh back with washed cotton twill front panels. Select among 31 color combinations for adults and 13 for youth sizes. The GWT-111 is an unstructured cap made from garment washed cotton twill. This product features a low crown, pre-curved visor, and a tuck strap with slide closure. Select among 30 color combinations for adults and 7 for youth sizes. The PCTV-100 is a premium cotton twill visor with a hook/loop tape closure. It is perfect for softball, tennis, golf, etc. It comes in 17 color options for adults and 15 for youth sizes.